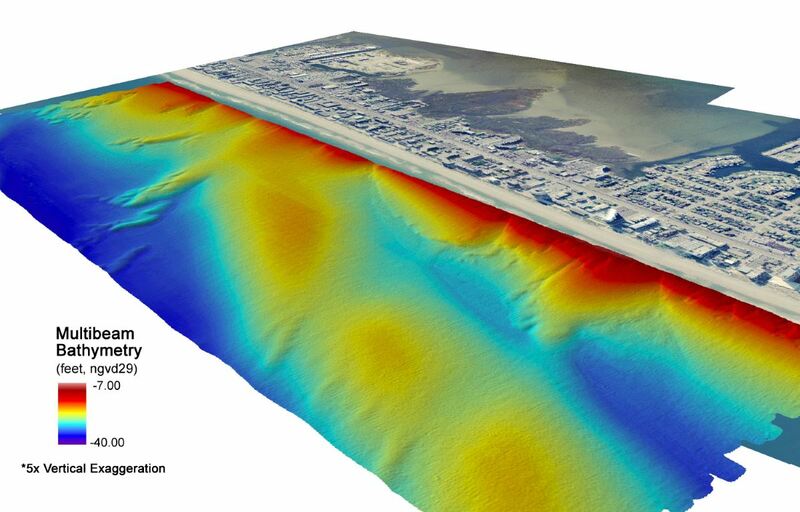 Geodynamics will begin hydrographic surveys for the USACE Norfolk District in May 2014. 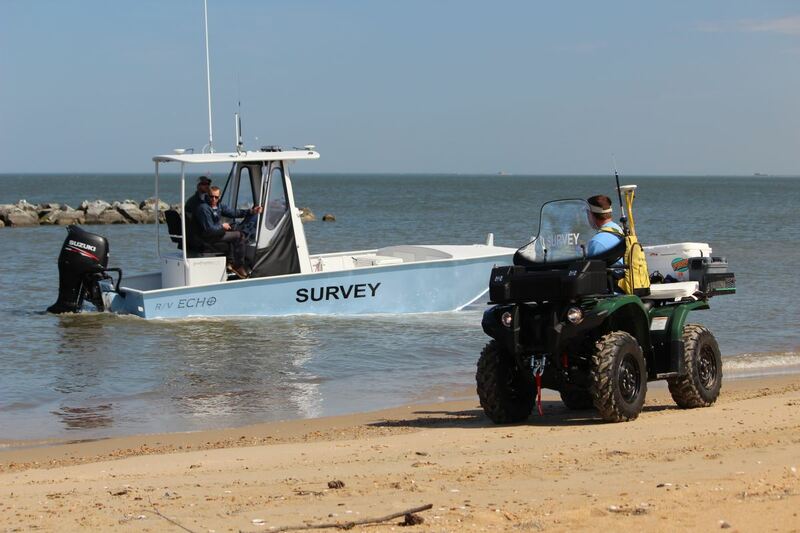 Supported by partners Andrews, Miller and Associates and AXIS Geospatial, this long-term contract will meet the Corps’ requirements for engineering and design, hydrographic and geodetic surveys, tidal studies, aerial surveys, and planning for dredged material placement. 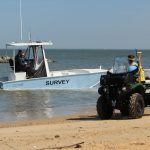 In summer 2013, Geodynamics was contracted to assess and characterize the seafloor in support of researchers at UNC-CH’s Institute for Marine Science and NOAA’s Center for Coastal Fisheries Habitat Research. 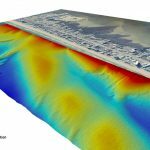 Geodynamics developed a detailed survey plan to conduct preliminary environmental site characterizations using sidescan and multibeam sonar. 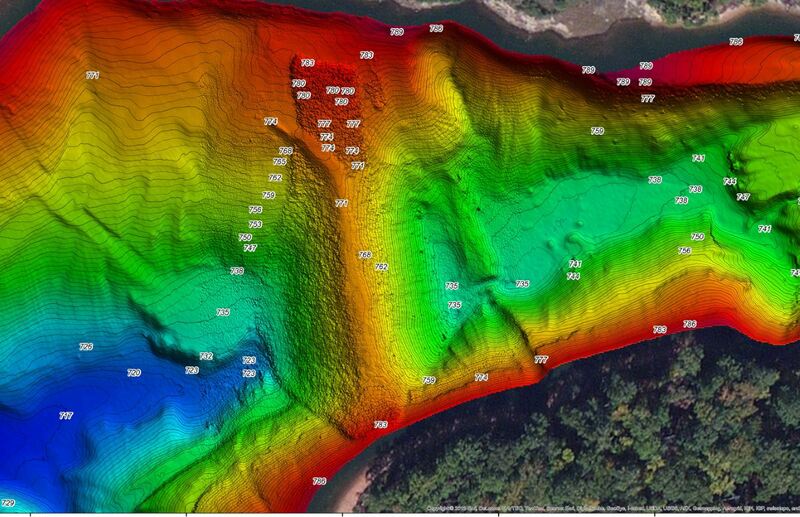 The survey design balanced the need for appropriate sediment characterization and target identification with constraints to available shiptime and a limited budget. 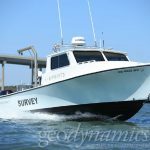 The survey efficiently mapped 437mi2 of seafloor in BOEM Call Area Wilmington-East off Cape Fear, NC aboard the NOAA research vessel Nancy Foster. 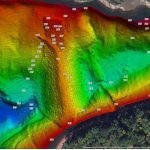 Geodynamics oversaw all hydrographic operations, including 2700 line miles of full coverage (110%) sidescan sonar using an EdgeTech 4200 and ‘skunk stripe’ multibeam collection using a Reson 7125, both paired with an Applanix POS-MV inertial navigation system. 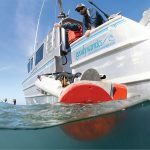 Geodynamics Chief Hydrographer, Dave Bernstein, joined Dr. Leslie Sautter in training students from the College of Charleston Benthic Acoustic Survey & Mapping Program in the use of multibeam and sidescan sonar data acquisition and processing. 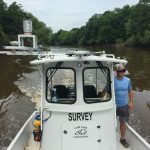 Using a Kongsberg 2040 multibeam system aboard the R/V Savannah (of Skidaway Institute of Oceanography), the students mapped the Transect Valleys and Cooper River Tee.